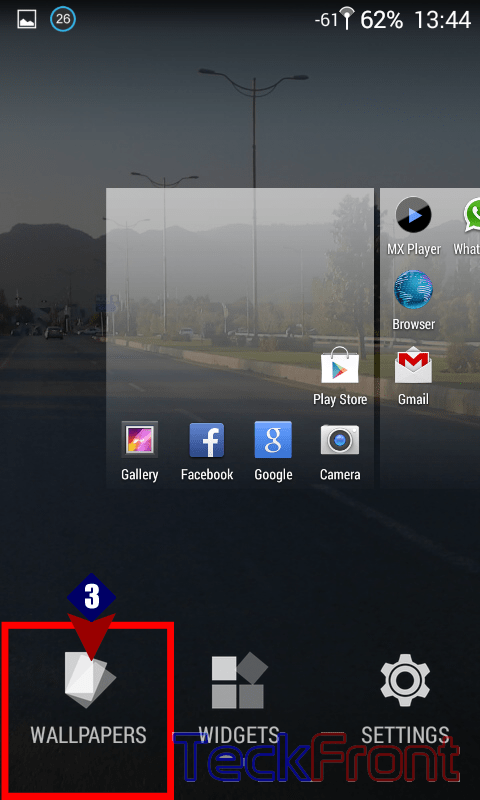 How to Set Wallpaper of Android KitKat 4.4, Quickly, From Home Screen? Majority of the users of the smartphones frequently feel the need to change wallpapers, due to their need for the CHANGE. This is the very basic psychosomatic need of the human beings to change, which is caused mainly by the social or some other reason. Android has provided a very interesting and innovative method to change the wallpaper, quickly, and right from the Home screen. This is simple and quick procedure. 1: Tap the Home screen, anywhere on the screen, and held it for a while. 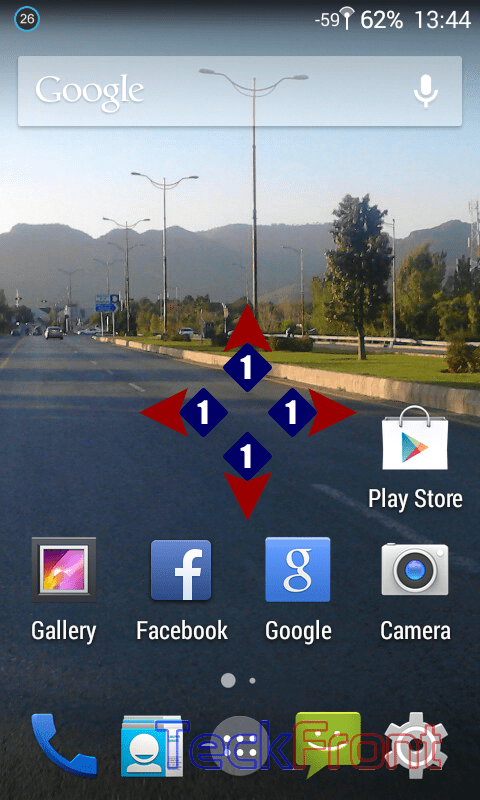 2: A setting screen will appear with 3 buttons, WALLPAPER, WIDGET & SETTINGS, near the bottom of the home screen. 3: Tap the WALLPAPER button. 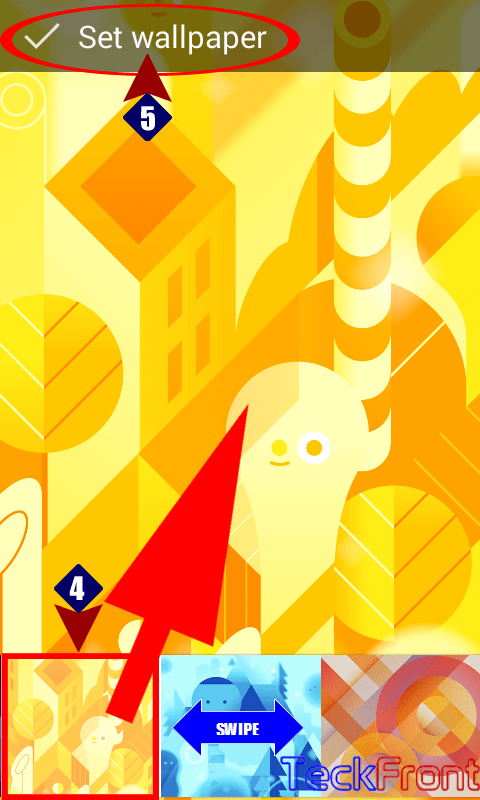 4: See a spectrum of wallpapers, offered by Android KitKat 4.4, will appear near the bottom of the screen. You may swipe these wallpapers to select one of your choice. Tap the one selected by you for the wallpaper. The wallpaper, chosen by you, will appear on the screen with a message ‘Set wallpaper’. 5: Tap the ‘Set wallpaper’ and the selected wallpaper will be set as the Home screen. 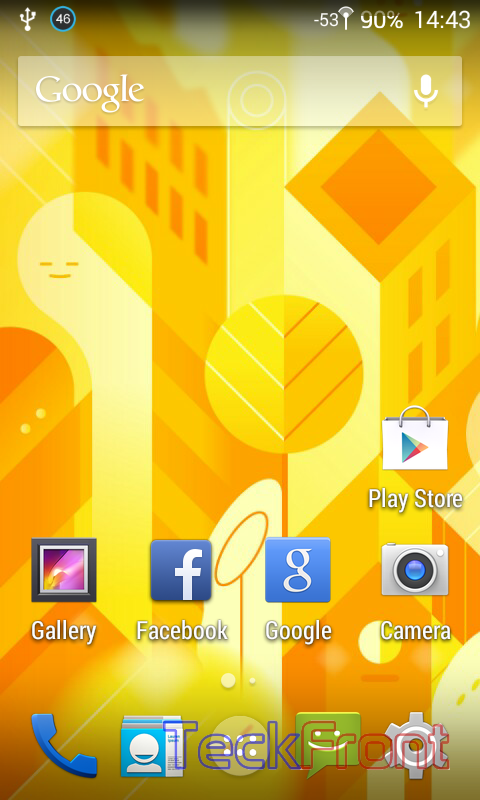 See your desired Wallpaper is set on the Home screen. That’s all! Newer How to Set Pictures From Gallery as Wallpaper in Android KitKat 4.4 Phone? 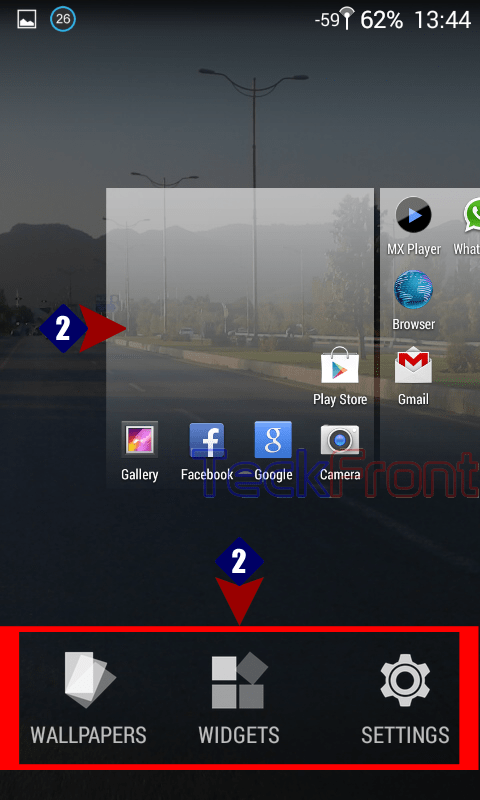 Older How to Set the Degree of Screen Rotation in Android KitKat 4.4 Phone?